Da Nang City plans to organize 37 major cultural, sports and tourism events at regional and national levels in 2013 to promote its image to local and foreign friends. By early this month, the city successfully ran 17 programs, especially the Da Nang international firework festival 2013 that attracted hundreds of thousands of visitors inside and outside the nation. In the remaining months of this year, it is scheduled to hold 20 others, including the “Da Nang: Summer destination 2013” tourism event, the national yang-sheng tournament and the 18th art exhibition for the South of Central and Central Highlands region. 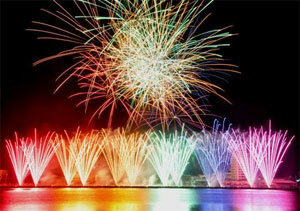 2013 marks the first time Da Nang City hosts a wide range of interesting activities to develop its tourism.